A discussion of the Universe and your place in it. A description of the different levels of consciousness. A review of the amazing world you live in, and how it affects your level of achievement. A complete “how-to” guide to the use of basic Success Principles and a detailed explanation of why each of these principles are important. A detailed description of the science of physics as it applies to your life. It includes classical physics (e.g., Newtonian physics) such as inertia and the conservation of energy; the special characteristics of matter described by Einstein in his Theories of Relativity; a review of Quantum Mechanics, and finally how Supersymmetric String Theory has expanded our understanding of our amazing Universe even beyond those characteristics described by Einstein. A discussion of the meaning of time. Throughout the book, how the physics actually applies specifically to you, and why it matters. 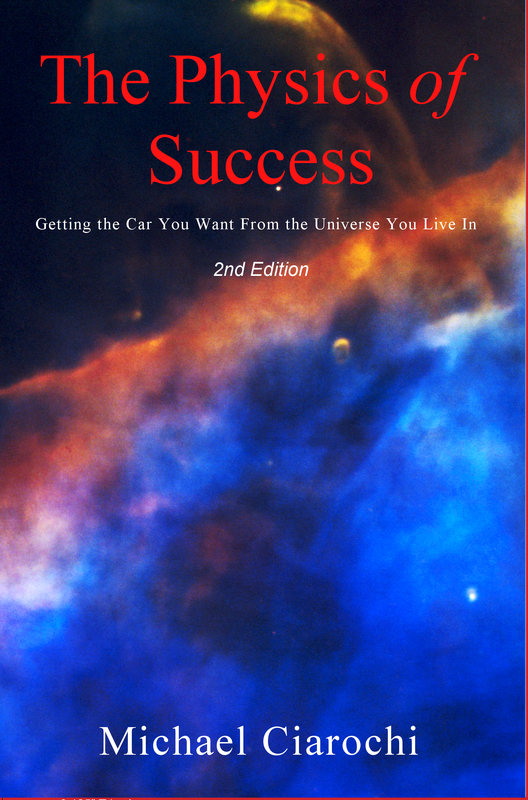 The Physics of Success is available online at several outlets, but when you order the through the PayPal link above ($9.95 plus shipping) you will receive an autographed copy of the book directly from the author. If you don’t have a PayPal account, you may pay securely from your credit or debit card using the same link.